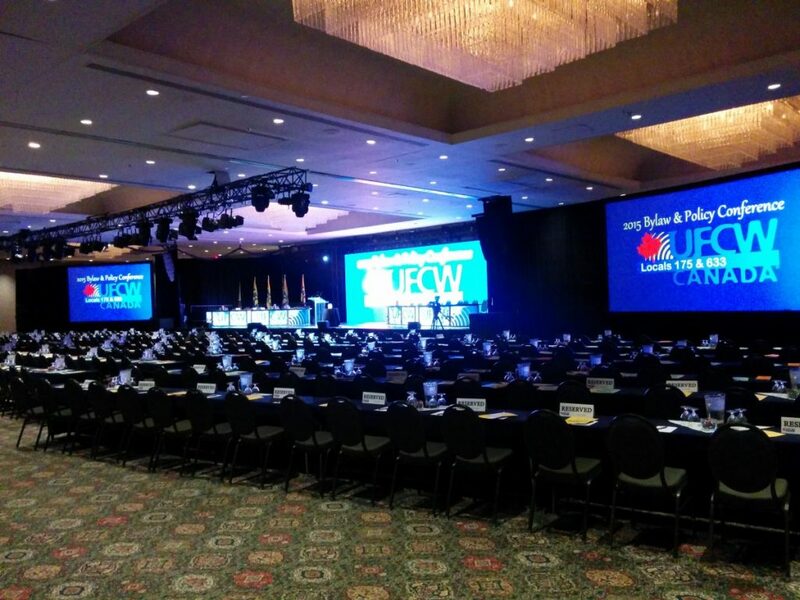 This month, we supplied production for the UFCW daytime conference and delegate dinner. Our stage was prefect for discussion panel and presentations and the evening dinner featured live entertainment including a choreographed laser show. 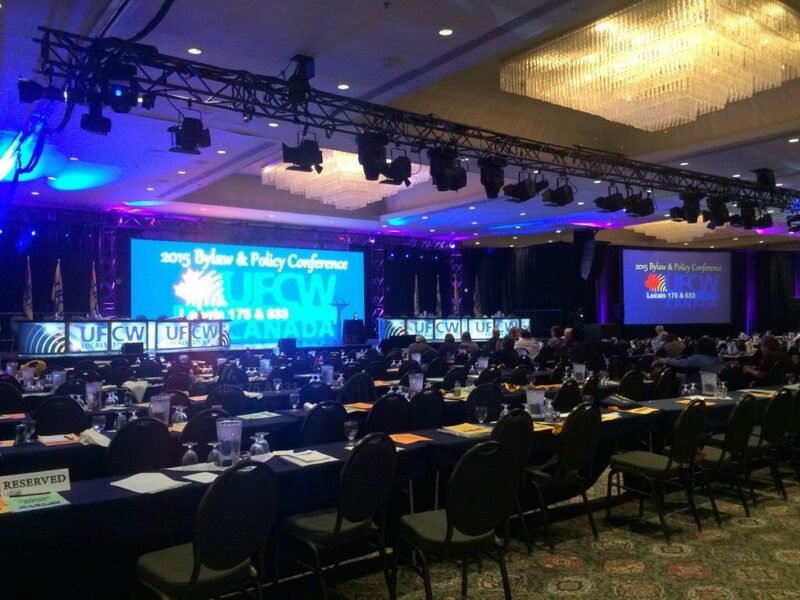 Our new Christie® Roadster HD14K-M projectors were used with Rear Projection screens. 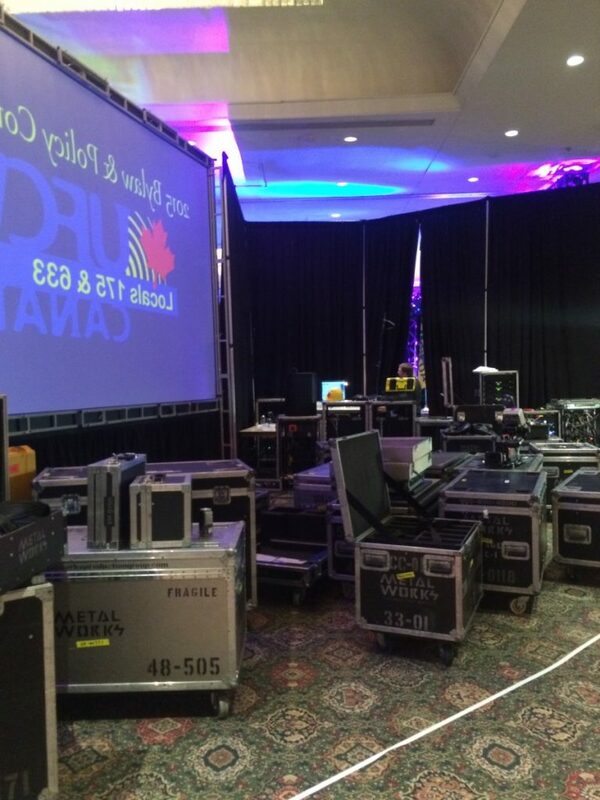 We also supplied an LED wall upstage!